We had the pleasure to dine in one of London's freshest gastro gems in the hip neighbourhood of Shoreditch. Keen to know our first impression? 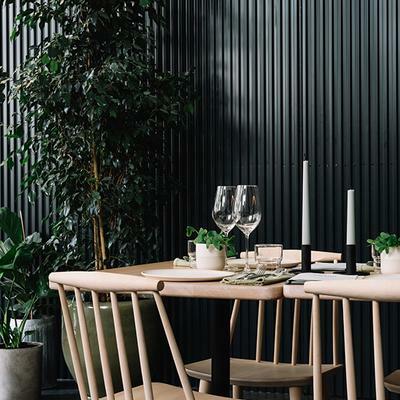 Love at first sight sums it up just right; attentive staff, delicious-looking dishes served in pretty ceramics, a great dash of plants and flowers backdropped with concrete walls. Opened in November 2018, Pachamama East is focused on fresh seasonal produce, applying the bold flavours, aromas, textures and spices that make Asian food so utterly tasty. The restaurant offers a unique experience to its sister sites, which have developed a strong following for their vibrant food and ambience, as it is the first to explore the delicious spectrum of Asian flavours that are inherent in Peruvian cuisine. For those that are interested the behind-the-scenes secrets we've got great news; Pachamama East operates with an open kitchen. If you were wondering about the name though, Pachamama is an Andean goddess, revered by the Inca people of Peru. She presides over harvesting and is considered to be Mother Earth and Mother Nature. Connecting the people to the land, she is worshipped as a benevolent deity and it is believed if you treat the land well - the land will provide for you. Welcome our new addition to our favorite brunch spots! À la Maison Grand was founded in 2015 and has just recently moved to the very heart of Budapest; to the ground floor of a stunning Art Nouveau building (you may look up to its stunning mosaic embellished top and oversized windows) at Szervita tér, built in 1906. The bright, spacious café-slash-restaurant is filled with natural light and custom-designed furniture. We haven’t quite seen such a diverse brunch menu anywhere else, so you might take your time to indulge yourself in the detailed and vast choices. It’s recommended to reserve your table in advance as the the place has quickly become popular amongst local and modern-day-travelers alike. Andrea, one of the founders envisioned a clear, sophisticated atmosphere when designing the interior of À la Maison Grand. Her aim was to create a place that stands out, and becomes an iconic spot in the heart of Budapest; to show a piece of her personal taste to the guests. White and grey dominates accompanied with brass the details. Thanks to the high-ceilings and mirrors the room feels both spacious and bright. The interior features plush chairs and comfortable, grey sofas. The pottery was chosen just as consciously; the Seltman Weiden porcelains belong to one of Germany’s oldest and most famous porcelain manufactory. They’re sorting porcelain since 1910 to the world’s best hotels and restaurants. With the festive season upon us, we have carefully selected some of the hottest restaurants around the world for you to seize every minute of togetherness in style. Each of our chosen restaurant is super special in its own right, yet this is exactly the quality what they have in common too; breath-taking venues for those looking to get into the Christmas spirit paired with the finest selection of dishes. Whether you’re looking for a place for your corporate Christmas Evening or just fancy some festive dining with friends and family, we’ve got you rather great options. Since it's festive season, we are holding a month of celebrations and we want you to join together with your beloved ones and celebrate the season of slowing down, great feasts and most of all; togetherness in no place better than around the festive table packed with the most delicate courses. As you may have noticed already, we're never not in the awe of a fine dish surrounded by just as exquisite interior. Join our journey for an unforgettable festive experience. Happy Holidays! Do you fancy having an unforgettable festive experience that is both intimate, calming and luxurious? We certainly did, so on this occasion we switched from a brunch or lunch for something more sophisticated in the lavish surroundings of the Four Seasons Hotel Gresham Palace in Budapest; a Tea Afternoon. It’s finally that time of the year again to have an excuse to celebrate the festive season in style. The perfect place to seize the season, Four Seasons Hotel Gresham Palace Budapest presents festive experiences such as Afternoon Tea. Advent Herend Afternoon Tea has been a stalwart of the Afternoon-tea scene for some years, as one of the hotel’s special offerings. At Four Seasons, they pay attention to every single detail; from the fresh pinewood scent, through prime service to the type of tea and the shape of cake is being served. To give the experience a dash of a local touch, the tea is served in the famous Herend Porcelain Manufactory’s hand-painted fine porcelain sets. While Four Season’s Herend Porcelain sets were made originally for the King and Queen of England as presents, Ronnefeldt Tea is known as one of the oldest tea companies in the world. The tea leaves are harvested by hand at the best times of the year and are processed with care and respect. Perfection – each cup of Ronnefeldt tea has a characteristic colour and flavour that make it a unique sensory experience. Looking for an exceptional dining experience in a lush surrounding during Labor Day Weekend in New York? We might have found one! How about an upscale American tasting menu from chef Daniel Humm served in a high-ceilinged Art Deco space? If it’s a special occasion, why not seize it? It’ll be a total indulgence of flavors, service and atmosphere, indeed. 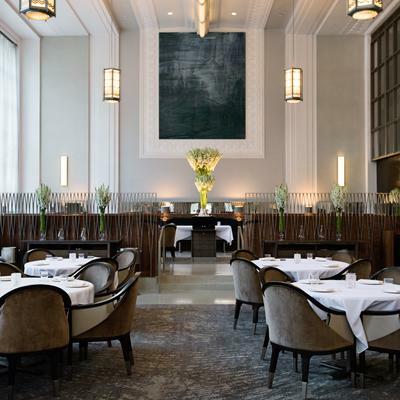 No surprise that the ever-so-famed Eleven Madison Park ranked third among The World's 50 Best Restaurants in 2016, and topped the list in 2017. Vacay in Munich? Oh yes please! Let us show your way through the​ city's best brunch spots with our lovely ambassador, Olga's guidance! We've just got back from Munich – the capital of Bavaria, which is known for more than just the world’s largest beer festival and BMWs. Apart from these, the city is also rich in beautiful architecture, meaty sausages (traditionally eaten for breakfast), good football, museums, vintage trams, parties, exhibitions, and parks – one of which is larger than even New York’s Central Park. And of course; a new wave of gastronomy scene if you would like to opt for something lighter than sausages for breakfast. Read on to find out where to get the most delicious breakfast bowls, pancakes and egg benedict. You may thank it to Olga afterwards, we just did. MOTTO Restaurant & Bar, located on Schönbrunner Straße, in the fifth district of Vienna, was apparently one of the first gay clubs in the 70’s and has since become somewhat one of the most popular celebrity hotspots in the city. Once you make it inside through the large chrome door (on Rüdigergasse, it’s tricky), the bar will be on your left, while the sophisticated dining area on your right, both opening at 6pm. You should definitely go both directions; you may decide the order though! Once we found its lush green interior via Instagram, we could not get it out of our heads. It was clear that the place has since become the ultimate hangout place amongst the trendy crowds of Vienna, so we joined them. It was Thursday 7pm and the restaurant was fully packed, few hours later as was the bar. Apart from its impressive interior, MOTTO is also known for its kitchen, which stays open after midnight. The menu features delicious dishes like beef carpaccio, salmon tatar or mountain trout, while the cocktail choices are not any less notable. Booking your tables already? The vibrant Soho district’s famed culinary gem, Le Coucou has been on our list for a long time, apparently even before our stay at 11 Howard last year. And so good it was; both the level of excitement and expectations were sky-high. Speaking of experience, the restaurant has quickly become one of the hardest tables to get in the city, but we’ve got lucky. Coincidence or destiny? You decide. In a lavish and enthusiastic manner, we’ve finally visited Le Coucou the other week, craving classic French cuisine the restaurant is renown for. 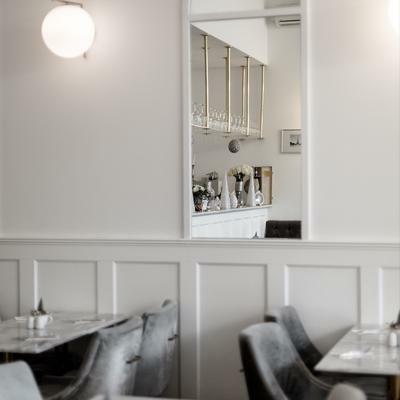 The menu reflects the chef, Daniel Rose’s personal vision of classic French cuisine aimed at bringing great food and conviviality to the table. An exceptional menu, the lush list of wines and cocktails, paired with the utmost of hospitality, takes dining at Le Coucou to the next level. Spending just a couple of days in London as a traveler (even if you are a returning one) to fit in everything can be a real challenge. Just when you try to search the newest restaurants you will definitely find like twenty incredible ones opened since your last visit to the ever-changing British capital. We'd like to share our top 5 restaurants that are awaited (and hoped) to be discovered during our trip to London this weekend. The list includes the Michelin three-starred restaurant Sketch in Mayfair, which is famous for its high-quality dishes and unique pink interior. Bistrotheque is not new in London's gastronomy scene yet its loft-like dining area is on our minds for a long time. The newest, Omar's Place is an invitation to the most essential flavours and smells of the Mediterranean, tapas, selected wines and cocktails; a journey through countries bathed by such a mythical sea. This way we've just fixed a "sunny day" in London. PS have you tried any of the above mentioned gastro-treasures? No matter if you are in Milan for the Fashion Week, MIDO, Salone del Mobile or MIA Photo Fair in between shows and fairs one only has the time to grab something quickly. Therefore, we have collected you Milan's top restaurants to dine in according to our local ambassador, Marianna Zuliani aka Mary. We suggest you to book your table in advance as each place gets quite busy especially when the city is packed with visitors. 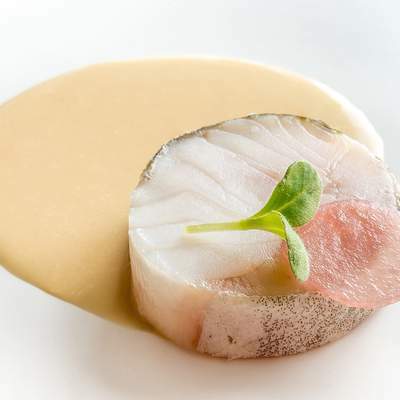 Local's Lore's team is striving to discover local niche places, restaurants with a story, places that are blurring the line between fine dining, traditional local cuisine and new-wave cuisine. Some days we prefer restaurants that are hip, on others that are luxurious and delicate, some days we are chasing the best local street food spots. We are in for every type of culinary experience as long as it's delicious. Let's see the 5 best one in Milan according to Mary. To be precise 5+1 which is our Local's Lore pick and currently our most desired place to eat out! Find out which one it is on the bottom of our list. A new Parisian address on the border of the 8th and 17th arrondissements, LE CAMONDO has opened its doors within the eponymous museum, just next to Parc Monceau. Upon entering, a large bar acts as the central element of the space, like a huge dining table inviting guests to share some time together. As if it were suspended in time, this former parking garage of the hôtel particulier has retained its coffered ceiling and metallic columns that make up the structure of the space. It also opens onto a paved courtyard that’s protected from external noise, just like a secret garden. Perfect for lunches and dinners on beautiful sunny days. This warm and inviting space boasts a cosy atmosphere featuring an interior design that mixes styles and materials with the spirit of an elegant conservatory, echoing the feeling of a private club. We sat down with the director, Aret BulBul to talk about moving to Paris, the French cuisine and his future plans. On the occasion of the World of Coffee Festival in Budapest, we teamed up with our favourite coffee-slash-breakfast-spot owners Anna and Peter behind Szimply and Kontakt for a very special dish. The Local’s Lore breakfast menu includes avo toast (avocado, apricot chutney, cascara caviar, aspargaus cream, cardamom-peanut butter) and cascara coffee.